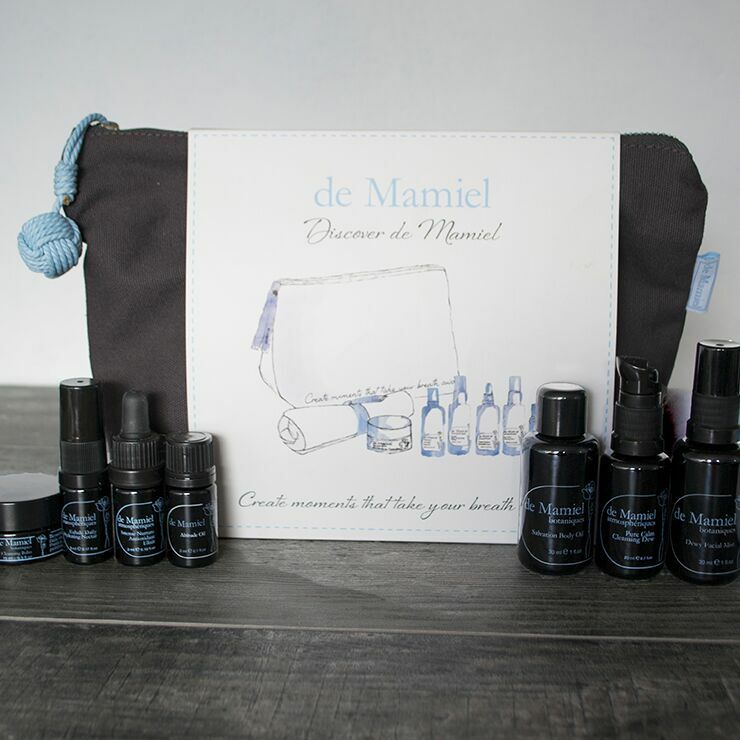 Your favorite de Mamiel skincare products, ready to follow you wherever you go! 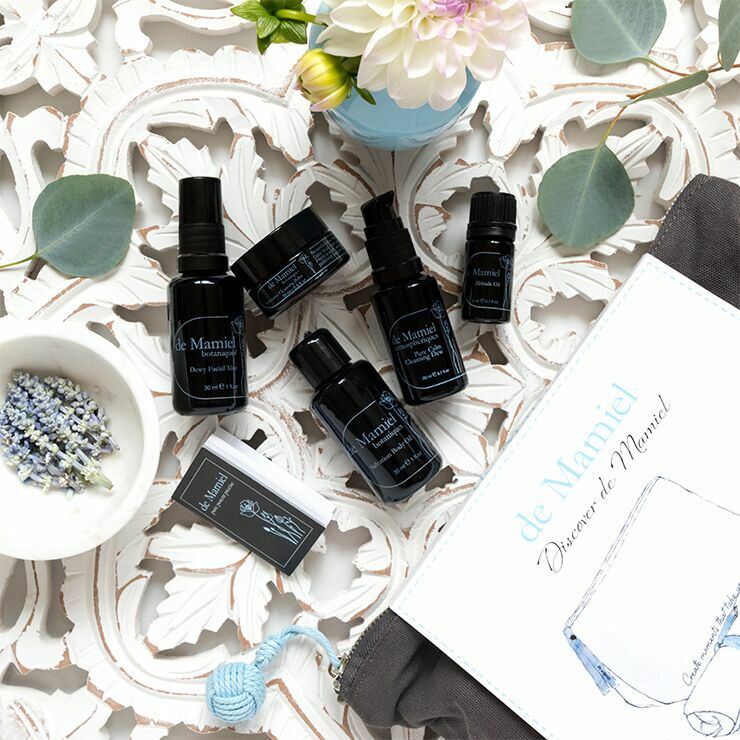 This skincare travel set comes in a spacious bag, large enough for all your travel essentials. What a beautiful little set! I was interested in trying De Mamiel and this was a hood way to try it. Most of the items from this line are included (I wish there was a little pot of rosy lip balm in there....). And I really liked all of them. I will be purchasing full sizes of everything. The best result that I get after only a few days of using all these products is well balanced skin with no redness (The skin on my face was bright red for years from using conventional skin care). Smooth and young looking skin, yes please! Thank you De Mamiel for creating this kit!